Hurricane Maria Recovery: Daily Press Briefings Thursday, September 28, 2017 — Dominica’s Prime Minister the Honourable Roosevelt Skerrit will be convening a daily briefing at 10:00 a.m. (AST) from Dominica until further notice to keep the media and general public updated on the recovery following Hurricane Maria. You may watch live via YouTube at: https://youtu.be/nfnQFVfaU00 or http://www.opm.gov.dm/?p=2213 and Facebook (Roosevelt Skerrit). 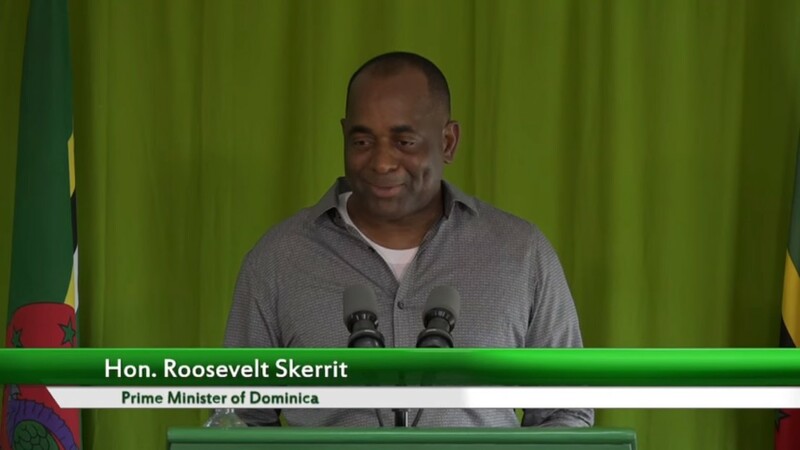 Thursday, September 28, 2017 — Dominica’s Prime Minister the Honourable Roosevelt Skerrit will be convening a daily briefing at 10:00 a.m. (AST) from Dominica until further notice to keep the media and general public updated on the recovery following Hurricane Maria. You may watch live via YouTube at: https://youtu.be/nfnQFVfaU00 or http://www.opm.gov.dm/?p=2213 and Facebook (Roosevelt Skerrit).